FORT DRUM--Sgt. Thomas Borthwick and Private First Class Dominic Barillaro, Soldiers from the Quarry Platoon, 204th Engineer Battalion working a rock drill for a quarry blast project at range 44 during Annual Training at Fort Drum, May 8, 2018. 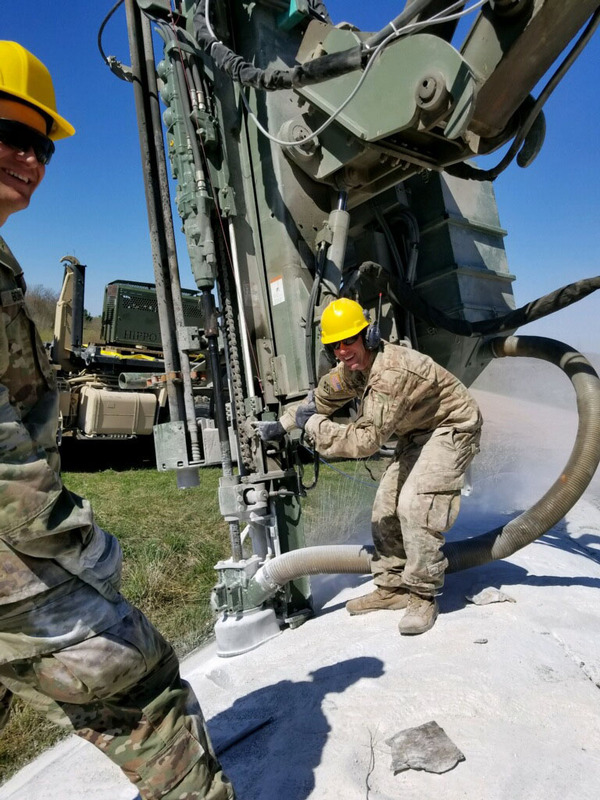 The Quarry Platoon is one of six units in the Army inventory whose mission is to plan, conduct, prepare and perform rock crushing operations in support of horizontal engineer units conducting road and airfield projects.